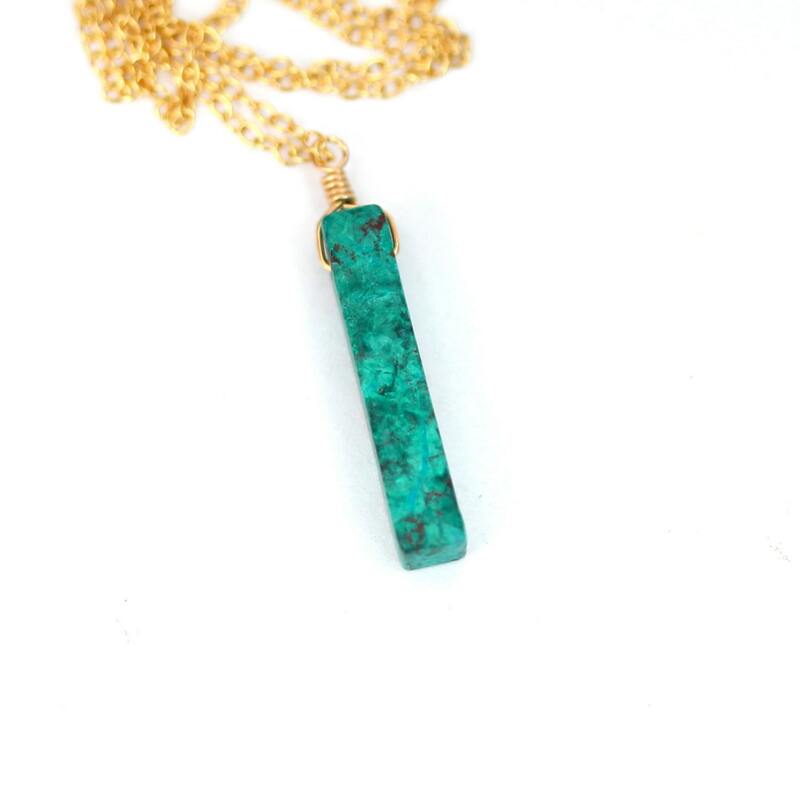 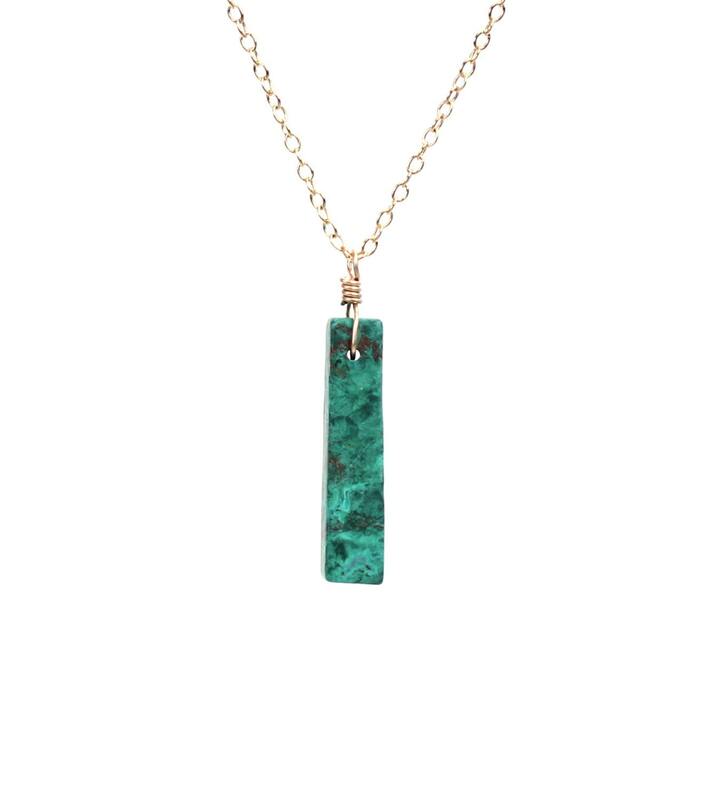 A one of a kind malachite with hints of chrysocolla wire wrapped onto a 16 inch 14k gold vermeil chain. 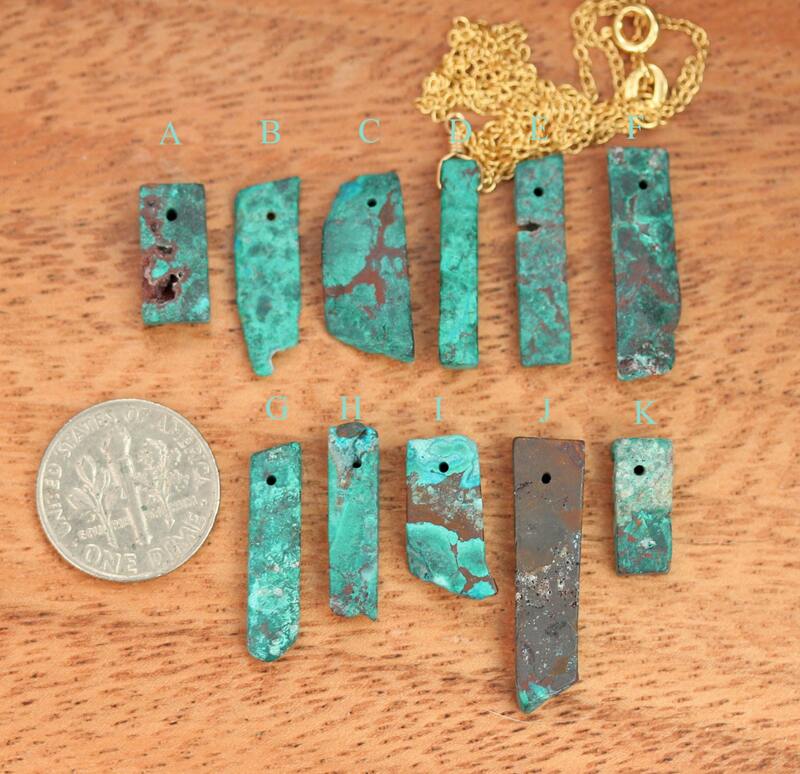 Please choose your favorite gem as shown in the 4th photo and a different length chain if you prefer. 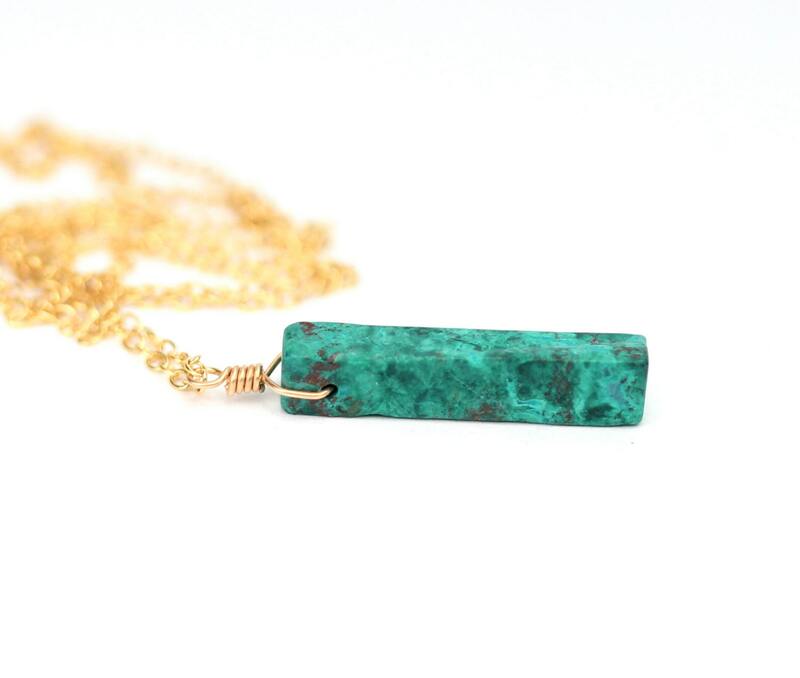 These beauties are also available on sterling silver chain.